Donald Raymond Banks was born February 6, 1943 in Laurel County and departed this life Wednesday, January 23, 2019 at his residence, being 75 years of age. He was the son of the late Ralph & Beatrice (Dotson) Banks. Don is survived by three children, Debbie, Raymond and Carroll Ray of Ohio. He is also survived by five grandchildren and ten great grandchildren, daughter in law, Mary and son in law Stan. Don is also survived by three brothers, Harold and Daisy of Annville, KY; J.L. and Ruthene of Tyner; Clarence and Loretta of Ohio; two sisters, Imogene and Jim of London, Bernice Peters of Ohio; also sister in law Geraldine Banks of Annville. In addition to his parents, Don was preceded in death by his wife, Suelane Vertress Banks and by a brother, Darrell Banks. Don loved his church and the gospel of Christ. He attended the Lakeview Church of Christ. 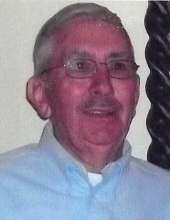 He was an avid fisherman, hunter and horseback rider. He had many wonderful friends and family to mourn his passing. "Email Address" would like to share the life celebration of Donald Raymond Banks. Click on the "link" to go to share a favorite memory or leave a condolence message for the family.